ISLE OF DOGS at The Avon. 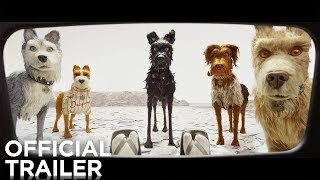 ISLE OF DOGS, the new stop-motion animated film written and directed by Wes Anderson, features an ensemble voice cast including Bryan Cranston, Bill Murray, Jeff Goldblum, Scarlett Johansson, Koyu Rankin, Edward Norton, Greta Gerwig and Liev Schreiber. Set in Japan, ISLE OF DOGS follows twelve-year-old Atari Kobayashi’s odyssey in search of his dog, Spots. When all the canine pets of Megasaki City are exiled to a vast garbage-dump called Trash Island, Atari sets off alone in a miniature Junior-Turbo Prop and flies across the river in search of Spots.